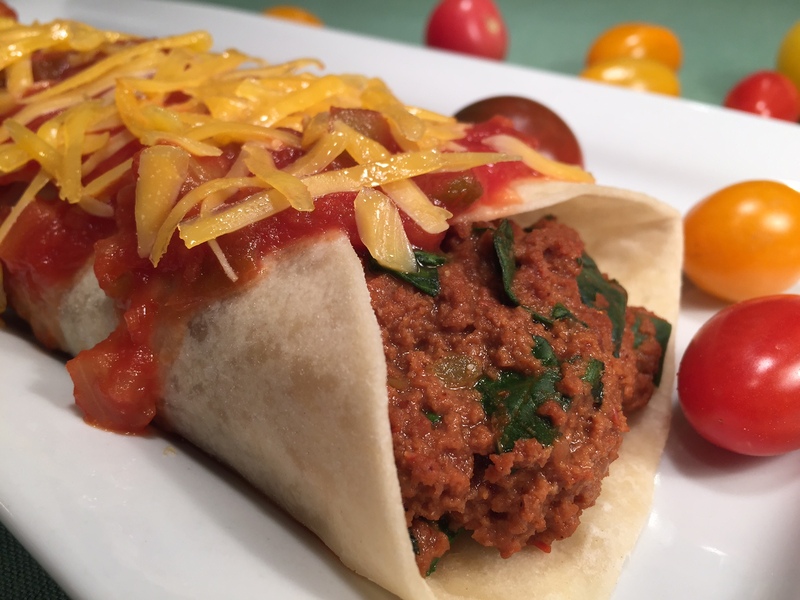 VEGETARIAN “BEEF” SALSA BURRITOS – Fast And Filling! Now that I make my own flour tortillas, “BEEF” SALSA BURRITOS are a go-to dinner for when I’m looking for a last minute meal that’s fast and hearty. 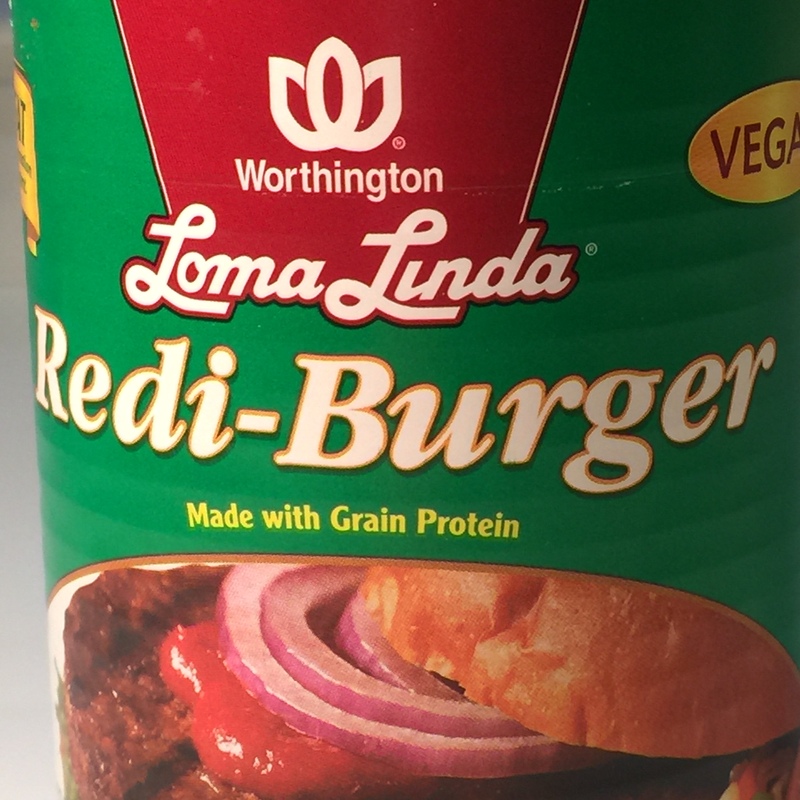 The reason is because the main ingredients for this dish are always on-hand in my kitchen: imitation canned beef, jarred salsa, and frozen spinach. If I happen to have fresh spinach, I’ll use that, but I always keep some frozen for emergencies (such as hungry children who won’t eat vegetables except when you sneak it in things so they can’t see it). You’ll notice “cheese” is on the ingredient list. If you don’t happen to have any, make them anyway – “BEEF” SALSA BURRITOS are still tasty. To those of you leery of making the tortillas, then you’ll have to buy them. But I encourage you to try – they’re very easy, especially if you have a food processor. Not only are homemade healthier, but you can make just the amount you need, rather than the packaged dozen you have to buy. Since they don’t freeze well, you either have to eat them up or throw them out…and you know how I HATE waste! Click on FLOUR TORTILLAS to learn how. NOTE: I would be remiss in my duty as Queen of Freeze if I didn’t point out that the filling for “BEEF” SALSA BURRITOS can be frozen for future use. If you like the recipe (make sure you try it first), next time make double or triple batches and freeze them in portion sized containers. Then, all you’ll need for that crazy no-time-or-energy-to-cook night is to make or buy the tortillas. Into a 10″ skillet or medium sized saucepan, put the salsa, chili powder, and cumin. Mix. Add in the fake meat. Over a medium flame, break up the “beef” (a flat headed wooden stirrer works best) and blend together. Stir in the spinach with the burner still on for a few minutes. Then, turn the burner off, cover pan, and let sit another 5 minutes to allow the spinach to cook. Spoon filling into tortillas, roll up, and top with extra salsa (if desired) and cheese. Microwave 1-2 minutes, until heated through. This entry was posted in Main Dishes and tagged Bonnie Antonini, fake beef burritos, vegetarian burritos, Vegetarian Cooking For Carnivores, vegetarian recipes. Bookmark the permalink. ← BREAD & CHEESE OMELETTE CASSEROLE – A Make Ahead Gift To Yourself!